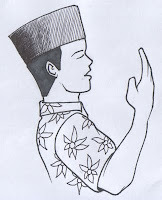 Today is Friday, 14th Ramadan 1430H, alhamdulillah. 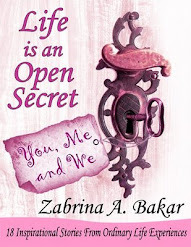 So, as promised, here is another Secret for you from me taken from my latest book, Life is an Open Secret: Ramadan Special. And I have picked out Secret Eighteen (from 25 Secrets) to share with you in this post, inshaAllah. “I called her several times but no one picked up the phone,” said a friend of mine one day when I asked her if she managed to get hold of an old friend. “Really? That's odd. What time did you call her?” I asked. “Well, I don't have the time during the day, so I always try calling her after office hours, about 7:30 pm,” she told me. “No wonder you can’t get her. She usually reaches home at about 9 pm Sis. You have to call a bit later!” I told her. “Ahhh… that explains why the phone just keeps ringing and no one answers”, she said. Has this incident ever happened to you before? Well, it has happened to me not once or twice but more than I would care to remember. Knowing the right time to call someone would mean that we have higher chances to get our calls answered, right? This conversation I had with my friend had suddenly made me realize something significant. During this blessed month of Ramadan, we are given the exact time when we should make the 'phone calls' to our Lord, Allah the Almighty and He, the Almighty promised to answer! Okay, I don't mean in the literal sense of phone calls but you know what I mean, right? Subhan Allah… isn't this great? Is it not great to know exactly the time to ask for our heart’s desires from Him? If this is the time we should be making loads of Prayers, shouldn't we be in silence during these moments, asking in our hearts His help, His assistance, His blessings, His abundance, His mercy, His love, His forgiveness and His aid for all our problems and issues in our personal, career and family affairs; instead of being busy pouring drinks, scooping food, arranging seating positions, asking everyone to sit down, talking and even laughing away? Wouldn’t that be a total waste of an opportunity? Don’t you think it is Simply Fabulous that we know exactly when to ask Him so that we would get what we want? A timing of when our prayers will not be rejected? A timing when all our dreams may very well come true? A time for war; A time for peace;"
Now, let us ask ourselves again, my dearest brothers and sisters: when is the perfect timing for us to ask Him all that our hearts desire? Just about the very moment we are about to break our fasts. And let us ask ourselves another question- are we going to use this golden opportunity given by our Lord, Allah the Almighty, during the last precious 5-10 minutes before we break our fast to pray to Him; to supplicate to Him and to ask from Him to fulfill our needs; to solve the problems that we face; to protect ourselves and our loved ones from harm; to forgive us for our mistakes; to bless us with a good marriage and spouse; to have faithful and successful children; to make our affairs easy; to pass us in our exams; to have good friends and companions; to give us peace and contentment; to allow us entrance to His Paradise; to make us His faithful servants; to protect us from Hellfire; to save us from punishments in the grave; to bless us with good knowledge; to shower us with wealth and abundance; to provide us with good health and to make us successful in this life and Hereafter? OR are we going to be busy asking everyone to sit around the table, pass the food and drinks, still be cooking in the kitchen, talk about the traffic we faced on the way back from work and maybe discuss world politics? Which ones are we really going to do my brothers and sisters, in the last 10 minutes of breaking our fasts? Ya Allah, it is now 15 minutes before the time to break my fast. Please excuse me everyone. I have to make a bus load full of requests to my Lord who will only say YES to me. Oh, wait a minute… you say something? What? You say you want to join me? 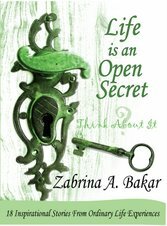 Secret 18: The Perfect Time for Supplication is taken from one of the 25 stories in Sis Zabrina's book: Life is an Open Secret- Ramadan Special. 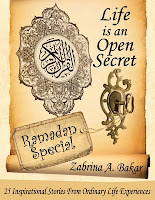 Life is an Open Secret- Ramadan Special carries 25 motivational and inspirational stories specifically tailored for the month of Ramadan when Muslims worldwide are required to observe the act of fasting from dawn until sunset for a period of one month. This special month brings along with it many benefits and blessings that are sometimes forgotten. Thus, the stories in this book serve as a reminder as to what Ramadan is truly about. All stories are written in a simple, chatty, humorous and witty way that promises to touch your heart, tease your mind, soothe your soul and make you reflect along the way.